As executive producer on Beyond: Two Souls, I’m sure some of the review scores the game received weren’t what you were hoping for. 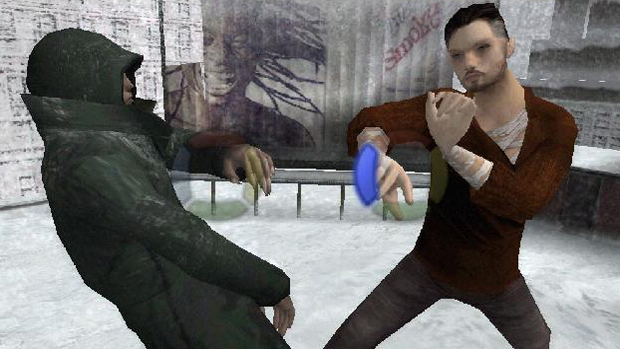 What do you think was the main issue that saw the game receive more criticism than your last project; Heavy Rain? Well first of all, I think it’s [laughs]…still to be seen because we’ve been getting a lot of review scores coming in – I just saw we got 38/40 from Famitsu, for instance. There’s still a lot of reviews coming in. In fact, in certain countries such as Germany and France, for instance –where I have an almost complete picture — the reviews on Beyond: Two Souls are very, very similar to Heavy Rain. In France, for instance, it’s 86% Vs 87%, if [you] aggregate all review scores. We’re of course disappointed by certain reviews, but I’m not really surprised, in a way. We perfectly know what we do is polarising and that we are going to have people who, pardon to be so direct, get it, and others who not only don’t get it, but they refuse the whole concept. And, it’s kind of strange because when you look at certain review scores, you see that some reviews praise a great number of things, but are just let down by certain aspects — which interestingly enough, are the things that some other reviewers consider to be utterly important in the reason why they’re giving it a 9, or a 10 [laughs]. So, it’s difficult to analyse this and understand what we should have done, or could have done — it’s important for us to get all review scores and really analyse what’s going on. Most importantly, we’re not creating games to please this outlet or this journalist. We’re creating games to talk to a certain audience and what I’m interested in, mostly, is what the gamers out there think about the game and so far, the response has been hugely positive when I look at all the aggregates we’ve been screening through on forums, etc. I should say, as well, GodisaGeek gave it a 9/10, so I was just wondering what about your perspective on some of the more negative scores that the game has been getting. I think we’re going to talk [a lot] about a few of the reviews. “Why does IGN give you a 6/10 and Gamespot gives you a 9?”, but it’s a discussion point and if you follow me on Twitter, I’m [following] this discussion because I think it’s an interesting discussion. Where do we want this industry to go? What kind of games do we want/don’t we want? And why do we want certain games and why don’t we want certain games, as an industry? 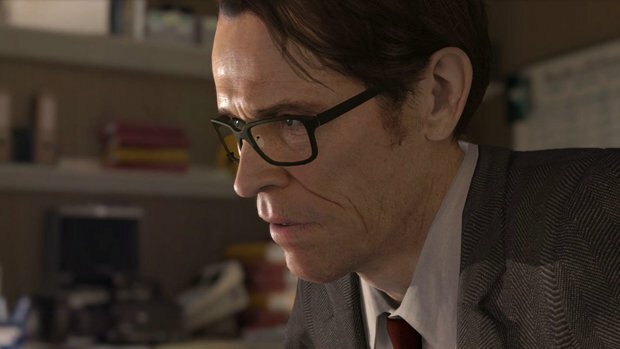 The Hollywood influence with Willem Dafoe and Ellen Page is obviously a big part of Beyond: Two Souls. Leading up to the game’s release, I was a bit sceptical about the casting, but their performances obviously speak for themselves. I couldn’t imagine other people in those roles and obviously their involvement was something important to Quantic Dream. I think it was a match made in heaven and I’ve often discussed this with David [Cage] and think that, like you, we couldn’t have imagined another Jodie Holmes or another Professor Dawkins. The one thing that I’ve read everywhere, even on the most negative reviews, is that their performances are stellar. Of course it’s the actors, but it’s also all the technique and it’s everything that we’ve done on performance capture, but also on the story — creating believable characters.It’s never only the performance of the actor, it’s the writing [too]. It’s an encompassing mix of different ingredients and I’m very, very happy that even the most sceptical critics have acknowledged this. Obviously, you work closely with David Cage. Does David regard Beyond the writing pinnacle of his career, so far? I think we are very, very proud of Heavy Rain too and those two projects are very different, but I think that David has given his heart and soul to both projects. 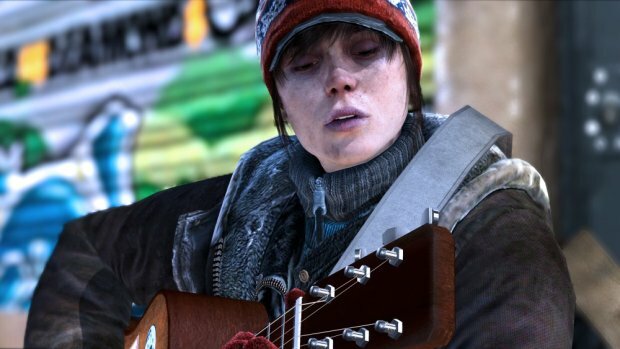 Heavy Rain and Beyond: Two Souls are the best two writing exercises of David Cage. As a studio, you never seem to go over old ground, really. We’ve never seen a Heavy Rain 2, or a Fahrenheit 2, for example. Is there any chance that, in the future, we may see one of your current IPs revisited? This is something we could certainly consider in the future. So far, we’ve been, to a certain degree, lucky enough to work on new IPs. There’s a certain liberty — you’re not carrying around the burden of expectations of a past work. That’s been quite uplifting. Now, this being said, we’re also at the point where we could consider building on something, and even revisiting stuff. It’s highly possible. On the subject of revisiting things, Kara was obviously very well received when that was shown off as a wonderful short film. But, one other Quantic Dream project I want to speak about is The Dark Sorcerer. If you look through your back catalogue, it’s normally centred around drama, but The Dark Sorcerer obviously focused on comedy. As Quantic Dream do try to take a different approach, would comedy ever be something that Quantic Dream would look into? Of course, of course, and I think it would be very interesting. I think what interest us is to move this medium forward and not only create products that make money. So, going into this direction of comedy, or of a different genre than what we’ve done so far would be something [we’d consider]. It would probably push the boundaries of what’s possible in a video game and that would be interesting to us. Speaking about doing different things with video games – obviously the traditional element of video game controls, and please correct me if I’m wrong, isn’t something that the studio would want to go down. You’re clearly looking to do different things with gameplay, yes? I guess what we’re trying to do is create an emotional resonance from the audience and trigger emotions and we’re trying to give the player the possibilty to have an influence on story. The fact is; you can’t really do that with traditional gameplay paradigms and this is why we feel the need to find new ways for players for to interact with characters [and] the environment in order to influence a story. What I mean by that is, we’re not trying to do something different for the sake of doing something different. We have a different approach because the kinds of games we’re doing are unique and we feel that we can’t use the recipes of other games. So, would you consider story to play a more important role than gameplay, in a video game? For us, the gameplay is a tool. It’s not a means by itself. The objective for us is to create a journey — an emotional journey for the player. That’s really the objective. 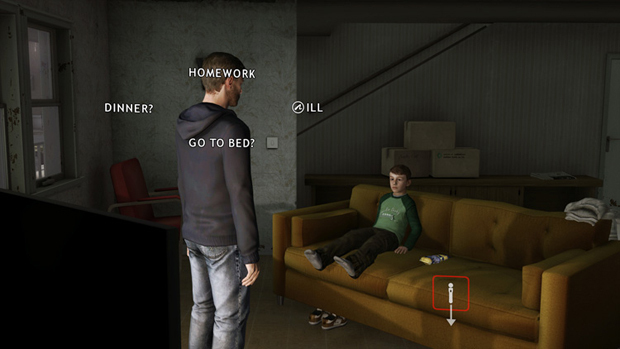 The gameplay is just one way for [the player] to interact with the story. For instance, addiction is not something that we rely upon. This is not a mechanic that is important to us – repetitive patterns. A great amount of games almost entirely depend upon [this]. This is really a language — a grammer, that doesn’t fit the kinds of games that we are making. One final question I have to ask before you leave, and it has become tradition here at GodisaGeek, is about tomato ketchup. Do you keep it in the fridge or in the cupboard? Ok…I create my own ketchup and then I store it in the cupboard. I’m very serious with cooking. I have three children and like all children, they love ketchup. But, I think that commercial ketchup has too much sugar and therefore, I create my own, with less sugar. Now you know everything!